Best Christmas wishes from the Pho.to team! 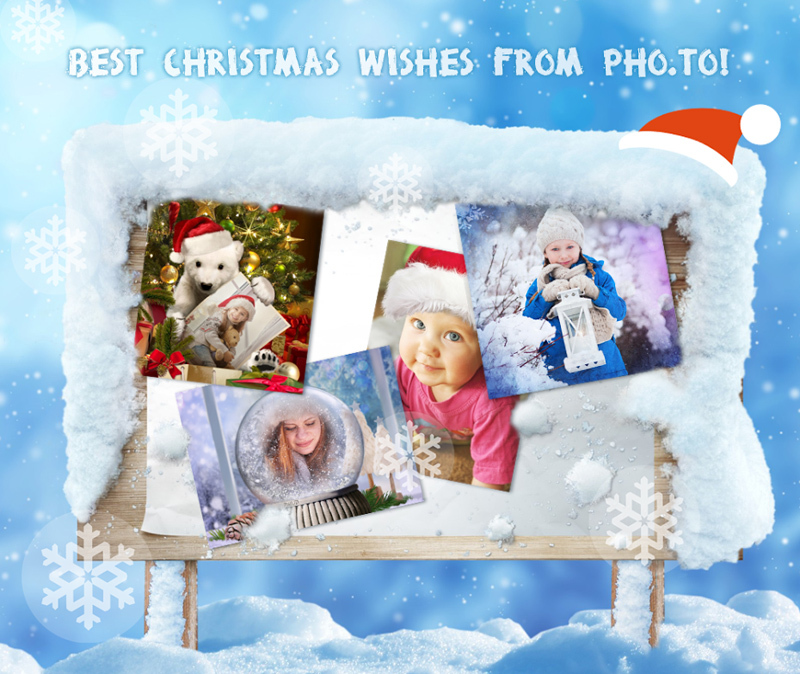 Users of our website are warmly welcome to visit this page for unique Christmas cards, sophisticated photo montages, personalized calendars for the Year 2016 and winter photo effects of all kinds! If you use an Android or iOS device, you will surely adore the free Xmas Frames app that literally brings Christmas to your pictures! What Xmas Frames app is about?